So my hope for season seven – lighten up on the guys, just let them hunt some monsters and catch some good luck for a change. That was what I said in my season six review, and boy was I ever not listened to. Remember back in season 3 where they spent the whole season with a death sentence hanging over Dean’s head? Well that was a pretty cheerful time relatively speaking. Since then life has got worse and worse for the Winchesters every single season and season 7 is no different. Given that Dean died and went to hell in season 3 and Sam did the same in season 5 then lost his soul in season 6, just imagine how bad it is now! I really struggled with this season of Supernatural. I watched the first few episodes early in the year and then just couldn’t face any more of them. It was only as I came up on the end of the year that I really felt I should buckle down and watch it. The word ‘should’ there really defines my relationship with Supernatural these days. It’s not a show that I actually really want to watch any more, it’s one that I feel an obligation to stick with. That obligation has a few sources. Foremost is that I still love the characters. They are beautifully written and acted , nothing is unexpected, every reaction, over-reaction and under-reaction makes perfect sense in the context that these characters have lived. Be it laughing in the face of horror, or being scared in the face of sentiment, everything the Winchesters and their extended family do is ‘right’. The other source of the obligation is longevity. 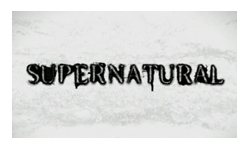 I was late joining the Supernatural party, but there’s nothing like a late convert. The show is still good! It’s creative, wildly original in content but completely self aware. It blends standalone episodes and charismatic guest stars seamlessly with intricately crafted arc storylines and recurring characters. The whole thing has built up over seven years into a giant knot of interweaved threads without a single lose end left hanging. I can think of no other series that’s been so successful in that regard. So of course this season first they kill Castiel off. Then they kill Bobby off. Then they even kill off Bobby’s ghost. In between that they introduce old friends, old comrades, even a daughter (all be it one created by monsters) and not a one of them outlives their first episode. They even have to give up the car! The stories are all compelling, they’re all well written, well acted and entirely justified in the context of the world threatening badness that surrounds the Winchesters. But good grief is it ever depressing. The boys end up alcoholic, sleep deprived, mentally unstable and disconnected from any kind of happiness; doomed to forever be saving the world yet unthanked and unrewarded. It’s relentless. While there’s still plenty of incidental laughs to be had from pop culture references, inappropriate smutty remarks and jet black humour, the overall tone rather drags you down into the depths of despair. The show is still great, but it’s become harder and harder to actually watch. So I’ll reiterate my plea. So my hope for season seven eight – lighten up on the guys, just let them hunt some monsters and catch some good luck for a change.